If you are a Window Vista user, you might sometimes encounter application incompatible problems especially when you don’t have the relevant drivers. When this problem happens, a window will pop out and inform you that you can no longer run the program as the “.dll” files are not available in System 32. This is quite annoying especially when you need the program to finish your work under tight deadlines. Window Vista actually features a compatibility function to address the problem. If you cannot run the program under Vista, what you can do is right click the “.exe” file and choose properties. Click on to the compatibility tab. 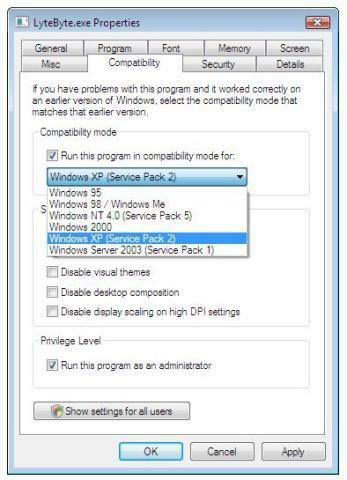 Now choose Window XP or the earlier version of your OS that is able to run the program from the drop down menu. Make sure you check the box “Run this program as an administrator”. Finally click “OK” and run your program again. The incompatible problem should have been resolved.